When to Schedule Furnace Repairs | Air Creations, Inc.
Are you having trouble with your furnace? It’s always best to contact a professional no matter what the problem is. If you had a toothache, you’d see your dentist, you wouldn’t try to fill your cavity on your own. Treat your furnace with the same amount of reverence. If you seem to notice odd inconsistencies with your furnace system, you can call our team. We’re punctual and reliable so we’ll always come out quickly, thoroughly assess your system, and then take the necessary steps to get your home up and running again. If you need furnace repair in Livingston, NJ then we’re the team for you. 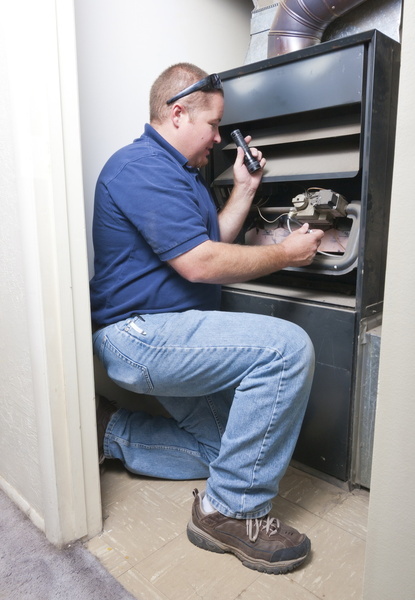 We see a lot of big furnace repair problems that could have been small-scale problems if the homeowner called sooner. We recognize that this doesn’t happen because of procrastination, lots of homeowners miss the warning signs that their furnace needs repair services, so we’ve listed them below. Have you noticed that your heating bills are a little higher than normal? Maybe the price has crept up steadily over the past few months. You can expect this to happen if you’re running your heater more often and for longer amounts of time, but if you’re using your heater the same way that you normally would and see an increase you should schedule furnace repairs. This is a sign that your heater suffers from inefficiency. Inefficiency happens when you neglect to have maintenance services performed or wait too long to schedule repair services. So you come home from a cold day here in Livingston, turn on your furnace, and notice an odd smell in the air. This odd odor might be a burning scent or a rotten egg smell, either way, you should call a professional to fix this problem as soon as possible. Odd smells are indications that you have a persistent problem with your system. The sound your heater makes should be a soft click when it turns on and subtle noises of air rushing through your vents, anything more and you’ve got a problem. It’s best to have a professional come out and hear these noises first hand. Different noises indicate different problems within your system. A rattling noise might indicate that you’ve got a loose part while a grating noise might be a sign that you have a problem with your blower. The only way to be certain is through the eye of a professional. Are you dusting your home more often? Really think about it, this is a sign of heater inefficiency that homeowners often gloss over. If you dust one day and then a few days later see dust accumulating again in your home, it’s likely a sign that your furnace needs repair services. Excess dust is a sign that your furnace needs a new air filter or that your home needs added ventilation. If you need furnace repair services in Livingston, contact Air Creations, Inc. today. We’re a reliable source in the HVAC industry.